EURCAD produced a beautiful bearish daily candle yesterday. 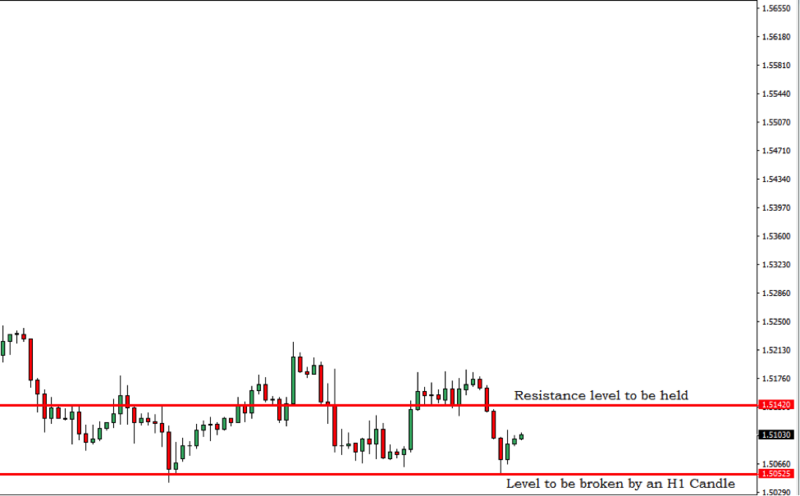 The H4 chart suggests that the pair has started making a correction as well. There is a strong level of resistance nearby. If the level is held and it produces an H4 bearish candle, then an H1 breakout at yesterday’s lower low would drive the price to go towards the South further. Let us have a look at the H4 EURCAD chart. As we see on the chart that the price produced 4 consecutive bearish candles. The level of 1.20525 has been held by the price and seems to be a strong level of support. The price had rejections from the level twice. Now that the price has started having its correction, it may go up to the level of 1.51420. It would be a level of flip over resistance if it is held. If that level ends up producing an H4 bearish engulfing candle and later we get an H1 breakout at the level of 1.50525, then the price would go towards the level of 1.49160 without having that many pauses. The CAD has a high impact news event today at GMT 13.30. I assume the signal would come at or after GMT 14.00. Let us patiently wait and see whether the pair moves to the South and makes our desired breakout to offer us the entry that we are looking for.